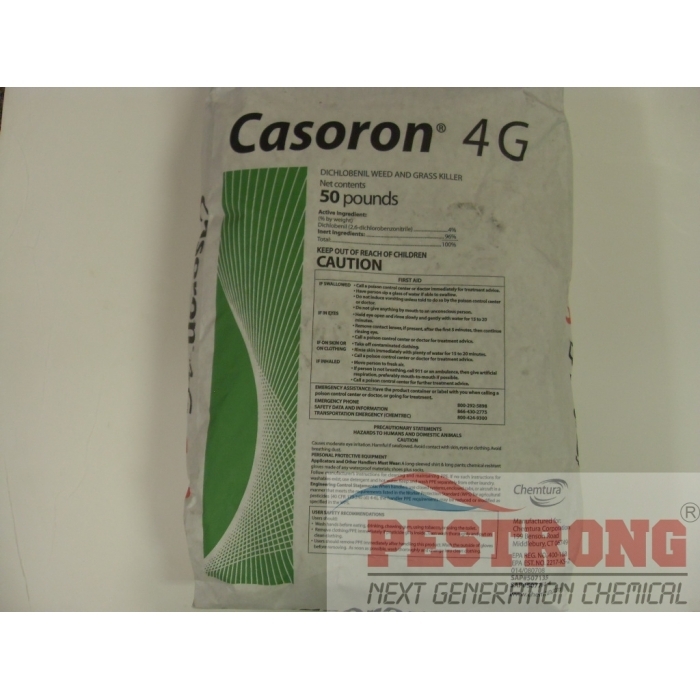 Where to Buy Casoron 4G, Casoron 4G Dichlobenil Weed and Grass Killer - 25 - 50 Lb - $104.95 for Sale with Fast Free Shipping! 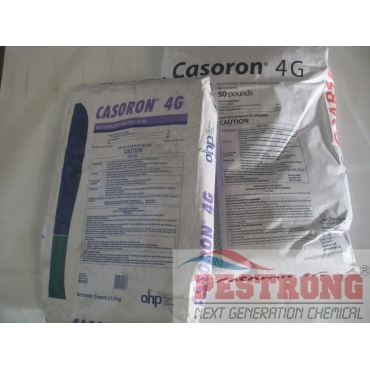 Casoron 4G Dichlobenil Weed and Grass Killer - 25 - 50 Lb provides long residual preemergent and early postemergent weed control. Surfactant for Herbicides - 16 Oz - 1 - 2.5..
Casoron 4G herbicide provides effective and long residual preemergent and early postemergent weed control on orchard/vineyard floors under apples, pears, cherries, grapes, and filberts. It is also used under around poplars grown in plantations, around blueberries and in cranberries. Noncrop areas include use around buildings and fences, in industrial areas, cemeteries and recreational areas, as well as under asphalt and gravel walkways/driveways. 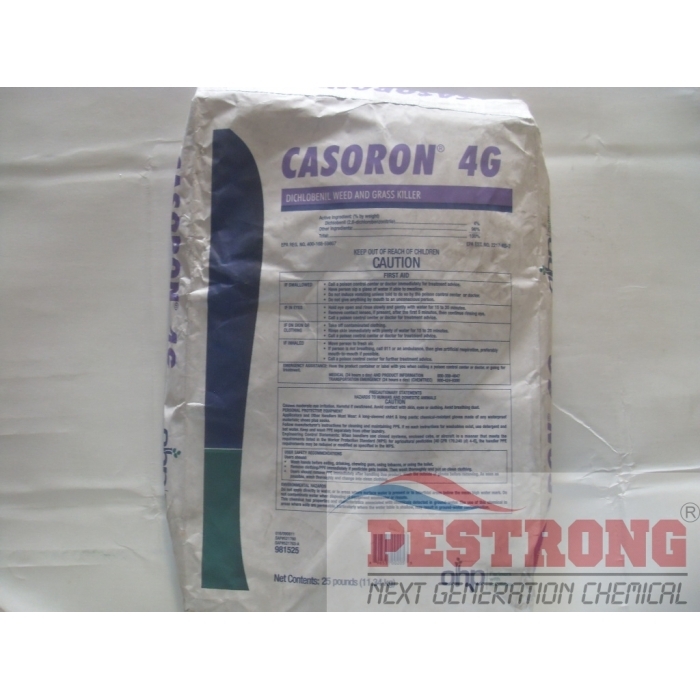 Casoron 4G controls weeds before they emerge from the soil, by forming an herbicidal barrier in the upper layer of soil when activated by rainfall or irrigation. Very small emerged weeds growing in the treated area will soon die off, while those weeds germinating in or below the barrier are killed when the new roots and shoots emerge through the barrier. Deep-rooted perennial weeds are prevented from emerging. Established plants with roots below the barrier are not harmed. 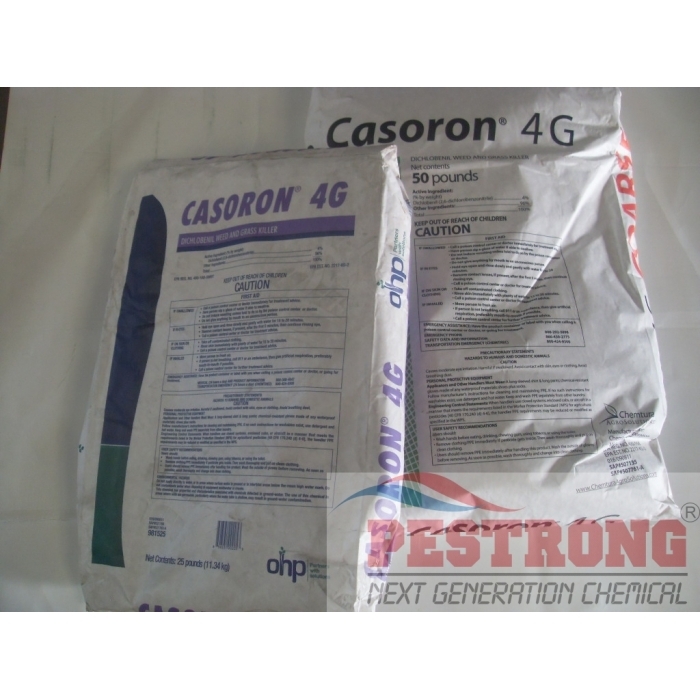 Casoron 4G works on the growing points (new root and shoot tips) of germinating seeds or emerging plants by inhibiting cell wall production. Because of this mode of action, application before weed seed germination or emergence provides the best control and eliminates the need for removal of unsightly dead plant material. With an active period of from 4 to 7 months in the soil, a single application will usually provide season-long weed control. The optimum application timing for Casoron 4G is from midwinter through early spring when the temperatures are cool (below 60-70oF), this in order to minimize the evaporation of the active ingredient into the air. In areas where winters are drier and colder, fall applications are usually preferred. In any area, however, it is important to remember that Casoron must be incorporated into the soil by precipitation or irrigation as soon as possible after application in order to provide the optimum effectiveness. Great pre and post long residual protection solution.